Taipei, Jan. 12 (CNA) Eleven overstaying Vietnamese nationals were located in Taitung, including one migrant worker who left his official place of work, one illegal worker and nine tourists who overstayed their visas, according to Taitung County Police Bureau Saturday. The 11 Vietnamese, dressed in the clothes of agricultural workers and rain boots, claimed to be employed doing farm work in the county and were found in the back of a cargo truck covered with black canvas, the police bureau said. The Vietnamese were brought to the Taitung office of the National Immigration Agency (NIA) because they failed to provide documents verifying their identities, the police said. None of the 11 people -- seven males and four females -- are connected to the 148 Vietnamese who left their tour groups after entering Taiwan last month, the bureau added. As of Friday, 74 of the 148 Vietnamese who "disappeared" after arriving in Kaohsiung on Dec. 21 and Dec. 23 had been found, the NIA said Friday. 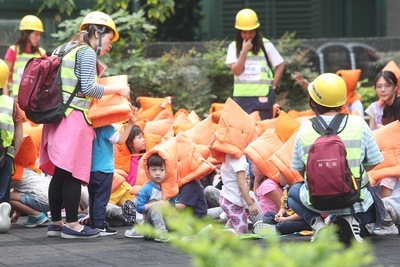 NIA Director-General Chiu Feng-kuang (邱豐光) urged people not to employ or provide shelter to the "missing" Vietnamese, saying such actions violate the Employment Service Act and are subject to a fine of NT$150,000-NT$750,000. The NIA has offered a NT$4,000 (US$130) reward for information that leads to the arrest of foreign nationals from countries covered in the "Kuan Hung Pilot Project," who illegally stay in Taiwan.